An unforgettable portrait of one of the most inspiring historical figures of the 20th century, published on the centenary of his birth. Arrested in 1962 as South Africa's apartheid regime intensified its brutal campaign against political opponents, 44-year-old lawyer and African National Congress activist Nelson Mandela had no idea that he would spend the next 27 years in jail. During his 10,052 days of incarceration, Mandela wrote hundreds of letters to unyielding prison authorities, fellow activists, government officials, and, most memorably, his courageous wife, Winnie, and his five children. Now, 255 of these letters, a majority of which were previously unpublished, provide the most intimate portrait of Mandela since Long Walk to Freedom. 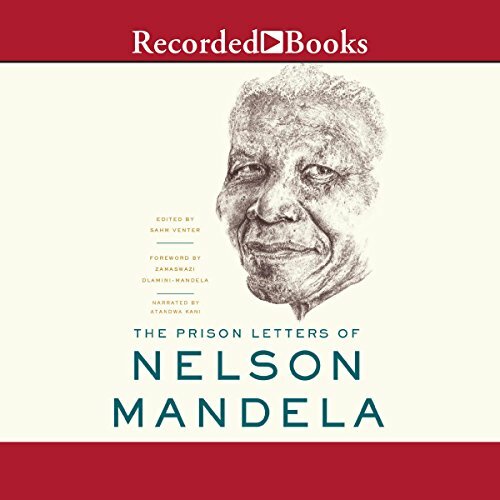 Whether writing about the death of his son Thembi after a request to attend the funeral was ignored, providing unwavering support to his also-imprisoned wife, or outlining a human-rights philosophy that resonates today, The Prison Letters of Nelson Mandela reveals the heroism of a man who refused to compromise his moral values in the face of extraordinary human punishment. Ultimately, they position Mandela, along with Mahatma Gandhi and Martin Luther King Jr., among the most inspiring historical figures of the 20th century. Mandela is indeed a great leader and everyone including the born frees must read these letters to understand his magnificent role he played to hold everyone together and focused on achieving freedom. More so, racists whites of South Africa must read this and understand where the freedom came from and that ending apartheid was just the beginning of realising Mandela and the rest of South African dreams. The hard remains to balance unjust system that apartheid created for so many years. Mandela couldn't achieve this in such a short space of time and he did the honorable thing to hand over the baton, Aluta Continua for land and economic freedom. Political freedom was just the beginning. Thank you Tata Madiba.